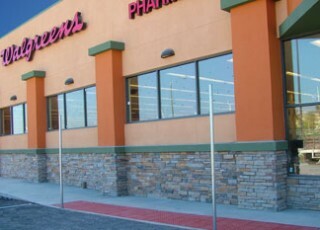 Detectable warning pavers are a requirement in any place where a pedestrian crossing blends with the vehicular road, without a railing or a curb. Under the ADA or Americans with Disabilities Act of 1991, such detectable warnings need to mark particular common intersections of vehicle traffic and pedestrian, as well as certain other hazardous environments. The number of installations is increasing in locations where they can improve protection even beyond the necessity of the law. Sadly, a lot of various sets of laws have been issued about the alignment, spacing, and size of the detectable warning pavers. To boot, there is even some misunderstanding about what is really necessitated. 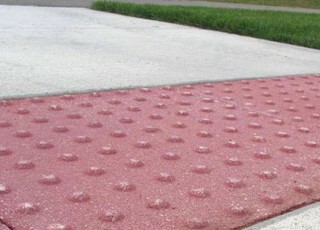 There is a wide range of products for detectable warning pavers available. Among such products include flexible mats and rigid tiles, both of which can satisfy ADA’s requirements and can execute their warning utilities effectively. The major dissimilarities between them are repair and installation. In areas with complicated shapes, such as non-right angles and radii, a considerable difficulty in utility for wheelchair users may also result. Whether surface applied or embedded, rigid tiles are rectangular and square units in a limited selection of dimensions. If the setup includes odd angles, radii, or areas which are not precise multiples of the available dimensions, then the installer needs to cut the pavers. Usually, a diamond-tipped blade on a mini grinder or a saw is used. This may sometimes pierce through individual detectable warning pavers, leaving partial pavers stuck up. Radii are rather challenging with rigid tiles since the tile slides are straight. In addition, surface-applied tiles need to present a bevelled edge in order to avoid tripping hazards. Tiles cannot be simply cut off in order to match a radius without cutting off the bevel with it. This issue between the straight edge tile and the curved pathway is typically resolved by cutting the tiles into a sequence of long and narrow trapezoids which fit together roughly around the radius. Detectable warning paver mats or tiles can become ruined. As for paver tiles, the whole tile needs to be replaced. Meanwhile, flexible mats may be replaced in little portions, even in dome by dome. It can also be recoated to look good as new, as well. 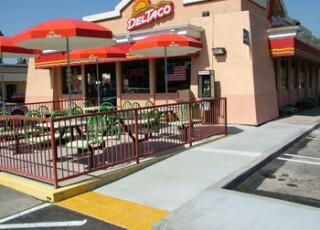 Detectable warning pavers are now necessitated in public areas by the United States law ever since year 2001. Current products have had advantages from the early years of the design development, and dependable materials are now available for most situations. 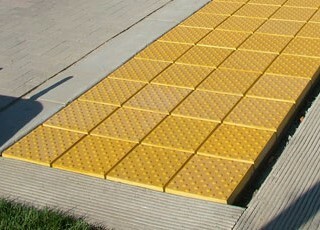 Manufactured in accordance with the requirements set forth in the American Disabilities Act (ADA), Tile Tech Detectable Warning Paver is fabricated with a non-slip texture produced by shot blasting technique. Projects will benefit from its high 8,000psi strength and ability to withstand snow removal and freeze thaw conditions. 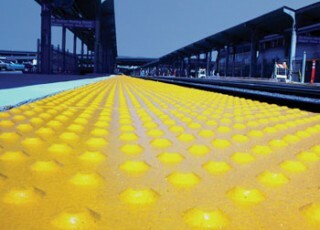 Typical installations include railway platforms, handicap ramps and curb and grade changes. Detectable Warning Pavers are stocked in the four standard colors shown above. Custom colors & sizes are available on special request when quantities permit. Detectable Warning Paver can be sand set, mortar set or thinset. Dome spacing and geometry strictly compliant with all applicable ADA codes. Architectural finish integrates well with adjacent site works. Pigment is uniformly distributed throughout the thickness of our products. Long term color stability without the need for secondary coatings. 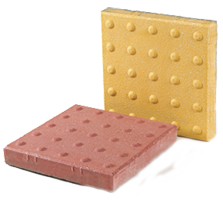 Wear resistance properties far superior to that achieved with composite based materials of any type. Due to its high 8,000psi density, resulting in less than 1% loss of dry weight in 50 cycles, these Detectable Warning Pavers can withstand extreme weather conditions and are even installed in Alaska!